Stone Medicine courses include lectures, storytelling, demonstrations, and a written manual with plenty of time for hands-on practical experience. Looking for products to help your course study? Our store provides a variety of products such as stones, oils, pads, which we recommend for use during our classes. Please feel free to check out what we carry and don’t hesitate to contact us if you have any questions or comments. Currently, Stone Medicine offers 38 NCBTMB Board Certified continuing education courses emphasizing unique application techniques, along with amazing ceremonial offerings, proven science, contraindications, hygiene, sanitation, safety procedures and proper temperature control to ensure that the highest standards are being met by professional stone massage therapy practitioners worldwide. Certified Stone Medicine Instructors offer workshops throughout the world. After years of training and experience with Stone Medicine, they bring their unique gifts to the class room. When you join one of our instructors in a workshop we pledge to you, that along with the technical aspects and scientific education of Geothermal Therapy, you will receive the history and traditions of Stone Medicine. We may offer a free gift of ceremonies that will change your life. We never charge for ceremony. 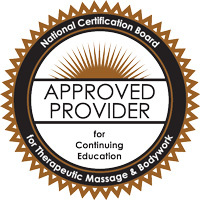 Stone Medicine LLC is approved by the National Certification Board for Therapeutic Massage & Bodywork (NCBTMB) as a Board Certified, massage continuing education, Approved Provider. There are thousands of people worldwide who have taken courses or experienced a Stone Medicine session. A few testimonials are offered here but cannot do justice to the wonderful things said about Stone Medicine and the instructors who offer this training. © Sacred Stone Medicine. All Rights Reserved.